Hello everyone! 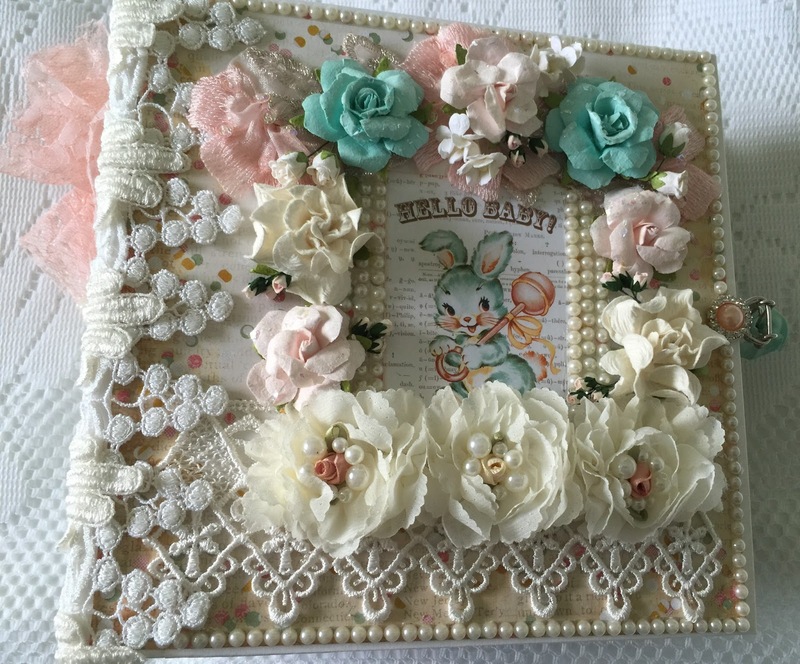 I just completed an adorable baby album. 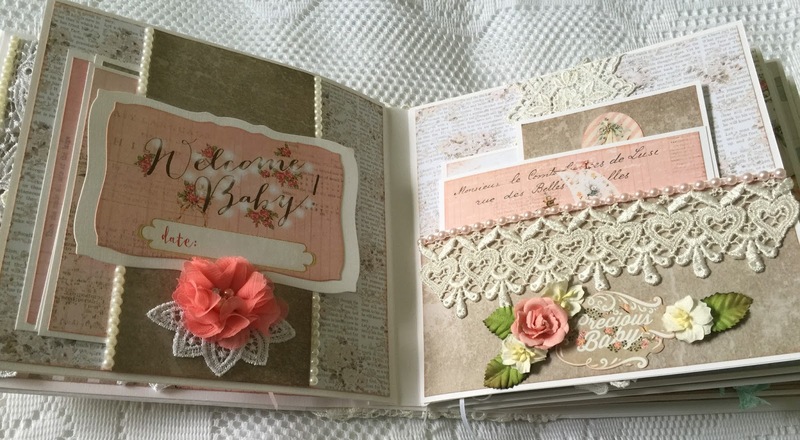 It was made using the Prima paper collection "Heaven Sent". 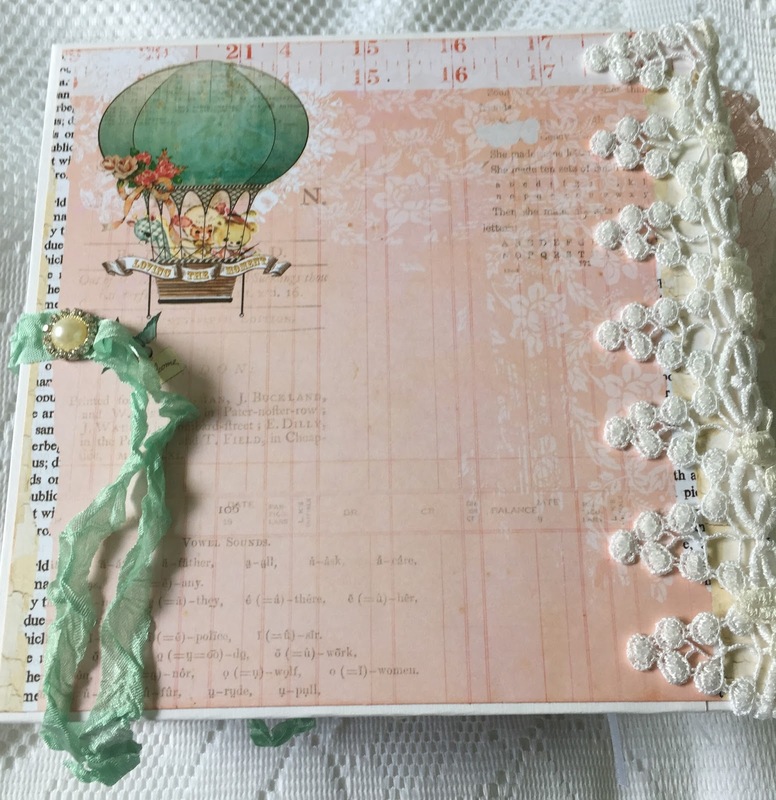 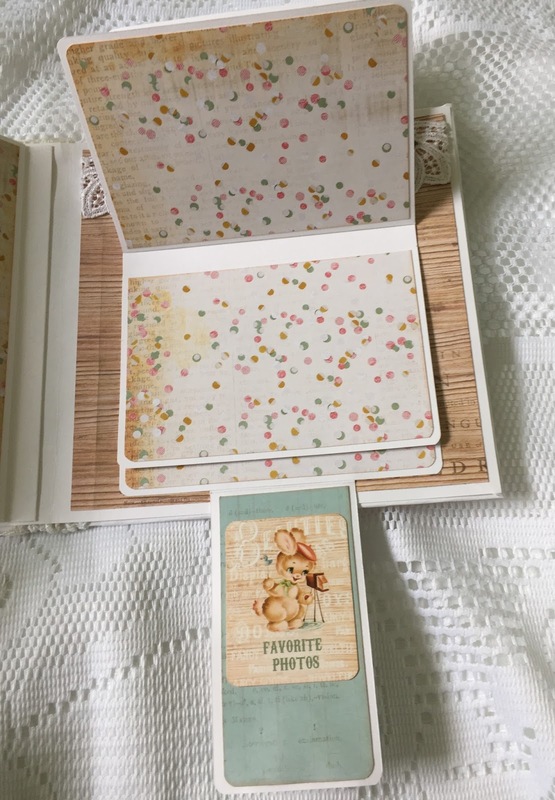 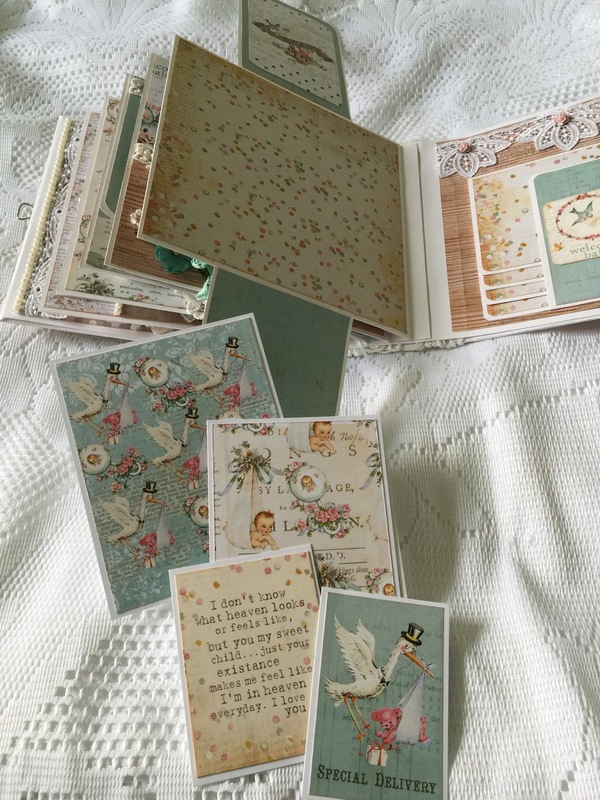 This paper collection, as well as the Prima flowers I used on the cover are available at countrycraftcreations.com. The papers are in limited supply, so if you want them, order them now as Prima will not be printing any more of them. 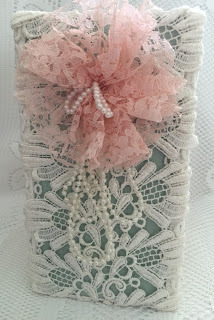 All of the beautiful laces I used in the album are from https://www.etsy.com/shop/TresorsdeLuxe.